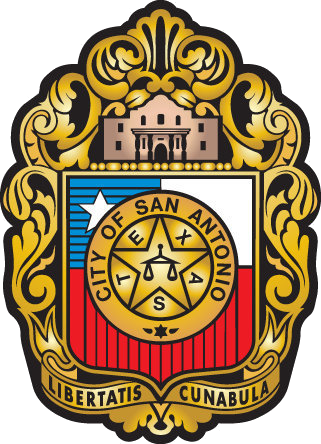 Are you looking for a Full Gospel Church in San Antonio Texas area? The teaching of Christ is a well-recognized story covered primarily among the first four books of the new testament. While the story of Jesus’ life may have been relegated to a period of just over thirty years, and a few books of the Bible, the power of that Gospel is much greater than any other story in existence. People today still need the Full Gospel. Not just to hear it but to obey it as well. There are benefits to being apart of other believers that adhere to the full gospel. Being a Full Gospel Church is much more than simply putting Full Gospel Church as part of the Church’s title. The story of the life and death of Jesus Christ is where many people stop, but the power of the Gospel is more than a story of past events. The message of the coming Messiah was prophesied in the Old Testament, with over three-hundred individual prophecies recorded about the coming and life of the Messiah. Christ was born of a virgin. Jesus Christ gave His life willingly upon the cross, becoming a sacrifice for all who follow Him. In layman’s terms, He racked up no charges against his life while he lived on Earth, therefore his payment in the form of sacrificial death was enough to cover the charges against all of mankind if they so chose to believe and obey Him. All people have sinned in their life and under the Law deserve death because of it. However, we also have a God that loves each and every one of us. Because of that love, He robed Himself in flesh to live a sinless life and to sacrifice Himself to pay for the sins of all others. Regardless of who we are, where we come from, or what flavor of sin the full Gospel Message is available to all who will receive it. What power lies in the Gospel? In short, the power to change and to save the world. It has changed the world, from the very moment of creation, to the days of Christ’s death and resurrection, to the very day that you are now reading this blog. Perhaps you have seen the power of the Gospel change the lives of those around you, perhaps you are hoping to see what the gospel can do. For illustration, we have selected two stories about the transformative power of the Gospel; they are both from the Bible. In order to see a clear message of full gospel preaching let’s look to a couple of examples of the apostles preaching from the book of Acts. First, we look at Saul, a Roman Jew and a leader among the Jewish people following the days of Christ’s ministry on Earth. Saul spent much of this time persecuting members of the newly founded Christian faith. To accept that Christ was the Messiah was seen as heresy in those days, with many different viewpoints and accusations being leveled at Christ and those who followed him. While on the road to Damascus in an attempt to further persecute and arrest any Christians in the city, Saul was apprehended of the Lord. A light blinded him, and the voice of Christ called out, “Saul! Saul! Why are you persecuting me?” Saul was left blind as the light disappeared, and was directed into the city where he did not eat or drink for three days. At this time, the Lord also commanded a follower of his by the name of Ananias to visit Saul and to pray for Him. Upon being prayed for by Ananias, scales fell from Saul’s eyes and he was baptized. Upon this healing, Saul began to pray, preach, and serve the Lord around the city of Damascus, so much so that he faced persecution from the very people he had once belonged to. This began Saul’s journey as he became Paul, and as he spoke the Gospel to all who would hear it, writing a substantial amount of what would later become the New Testament along the way. Now let’s look at the gospel message that Paul preached to some followers of John the Baptist. The Power of the Gospel doesn’t just transform the lives of those running from God, or those trying to stamp out the message itself. The Gospel message is hope for all who believe and obey. It is a promise that sin no longer has a hold on the sinner. It is a message that God loves and wants to be loved by each of his children. It is a reminder that not even death can stand triumphant over anyone who follows Christ. It is hope in the bleakest of situations, a light in the darkest corners of the globe, and a lifeline in our weakest of moments. It is, and it has always been, and it will always be. The Gospel is the ultimate power and authority, because it is the message and extension of the One True God. Come Be apart of Pentecostal Life Church. 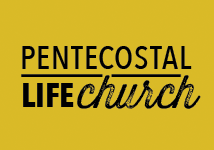 Pentecostal Life Church Is a Holy Spirit filled full Gospel Church. 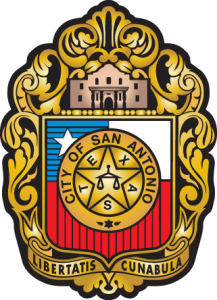 Proclaiming the Gospel to San Antonio Texas and surrounding Suburbs of San Antonio TX.